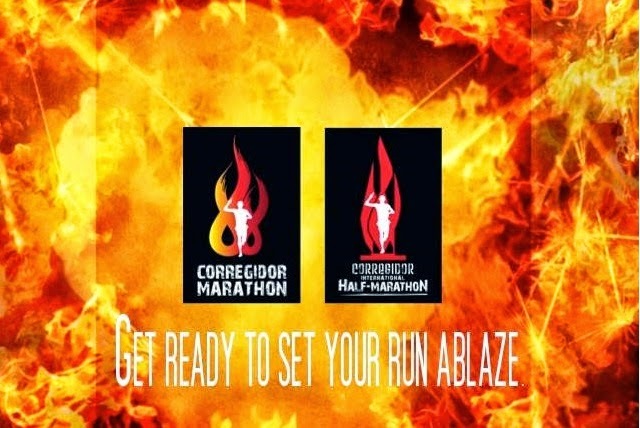 All race registrants for the CM 42K and CIHM 21K will be given a 50% REBATE of their paid registration fee if they get to break their personal record in the same distance they have registered to. 2) On the form, along with other details, indicate the race distance, name and date of race to be nominated, and official race finish time. 3) The race to be nominated must have been run during the period of January 1, 2014 to October 31, 2014 only. 4) Any form of MISREPRESENTATION will automatically disqualify the race participant from the promo. Sun Cruises as our event partner is generously giving special rates for race participants of both the 2nd Corregidor Marathon and 5th Corregidor International Half-Marathon: PHP1300/person EXCLUSIVE to race participants ONLY (inclusive of round-trip ferry, lunch buffet, and entrance fee to the island). Room accommodations are limited. 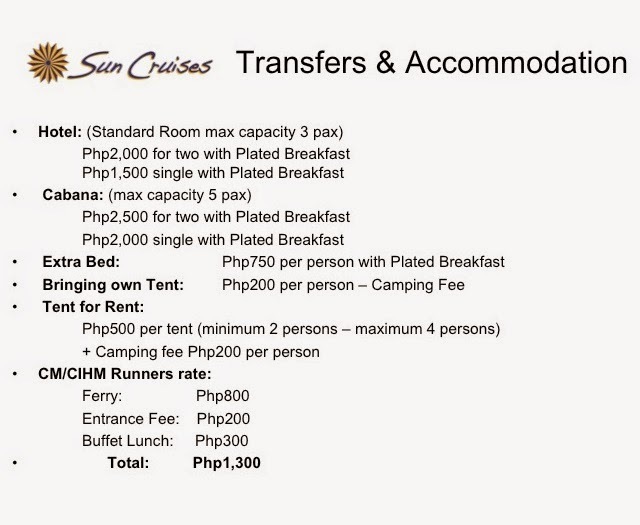 In consideration of this, Sun Cruises will be offering Camping Tents for rent (P500 flat rate). Sun Cruises will start accepting ferry and accommodations booking for CM & CIHM participants beginning August 21, 2014. For booking concerns, please contact Sun Cruises (8am to 5pm – Mon to Fri; 8am to 12nn Sat) at 5275555 loc 4511 and4512, 0917-5459917, 0917-8084641, 0922-8475418.